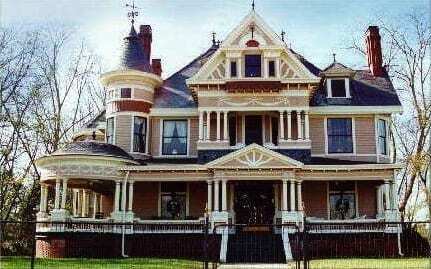 A Queen Anne in all its splendor is a beautifully ornate and complex piece of architecture. 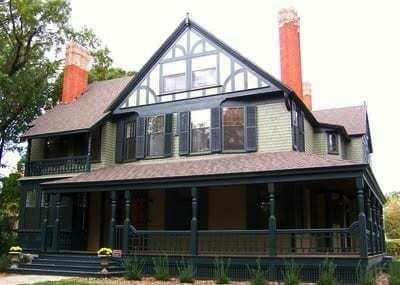 The Queen Anne was a vastly popular form of high-style architecture in America from about 1880-1910. It is somewhat less common in the heavily populated states of the northeast; however, the cotton rich states of the New South have some of the most fanciful examples. The style was popularized by a group of 19th century architects led by Richard Norman Shaw. The name is rather inappropriate, for the historical precedent used by Shaw and his followers had little to do with Queen Anne or the formal Renaissance architecture that was dominant during her reign (1702-1714). Instead they borrowed most heavily from late Medieval models of the preceding Elizabethan and Jacobian eras. 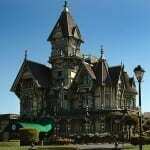 The Carson Mansion in Eureka, CA is considered to be the highest execution of American Queen Anne style. 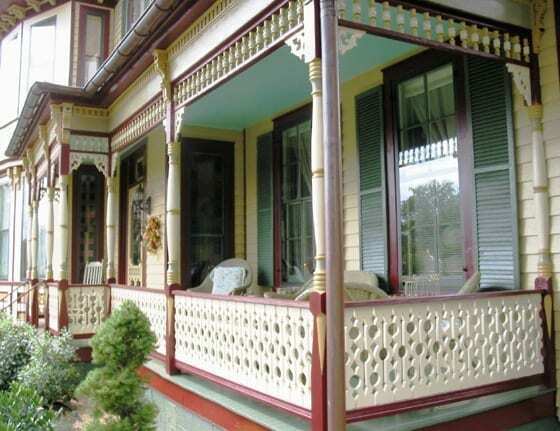 As is typical of architectural styles of the 19th century and before, Americans found an architectural trend going on in Europe and brought it home to the states where we altered it in a uniquely American way. The American Queen Anne is no different. The elaborate spindle work and ginger-breading found on most American Queen Annes is mostly an American addition to the European version of the style, and yet, it is one of the most distinct features of the style used to identify it today. After all, what is a Queen Anne if not elaborate and excessive? The American Queen Anne was, as all houses, a product of its time. The Industrial Revolution was in full swing and the Machine Age had the world in its grips. It was a busy time and one of great wealth and success for some. With all the roughness of the Machine Age people wanted an escape to a more refined and delicate style in their home. While the average American was building the simplified Folk Victorian, those most successful could afford all the newly available trappings of mass production and quick transportation via the ever expanding railroads. 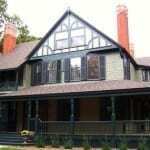 The Queen Anne was not just an architectural style, but also a furniture and design motif. Delicate sensibilities in an indelicate time. After 1910 the American Queen Anne fell out of favor. These extremely ornate homes, while the talk of the town, were discovered to be extremely difficult and time consuming to maintain. Thus many of them have fallen into disrepair and they are a rare find today, but an exciting style to replicate and restore. After the start of The Great War few Queen Annes were built as Americans opted for the more sensible and simple Colonial Revival and and a new style that was just starting in California which summoned a return to nature and simplicity. A style called The American Craftsman. I am remodeling one very close to the picture! 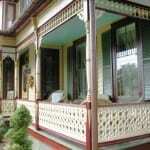 Any lead on who would buy the woodwork from my house built in 1880? How much, where at, what kind of wood? 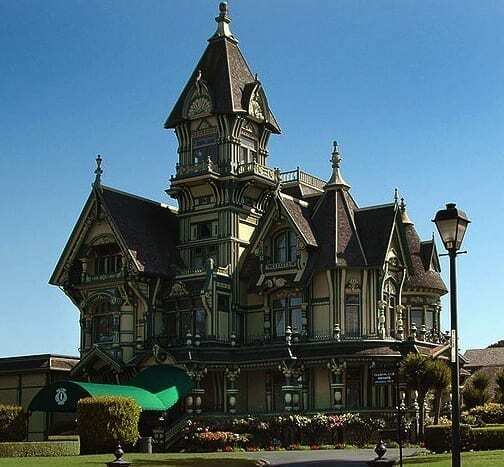 I love these homes with all those details, especially when they have those turrets. Great post with wonderful information. Thank you! They really are some of the most beautiful houses even if they require a WHOLE lot of work! Thanks for reading!